In 2017, income increased by 9%, from EUR 142m in 2016 to EUR 155.5m. 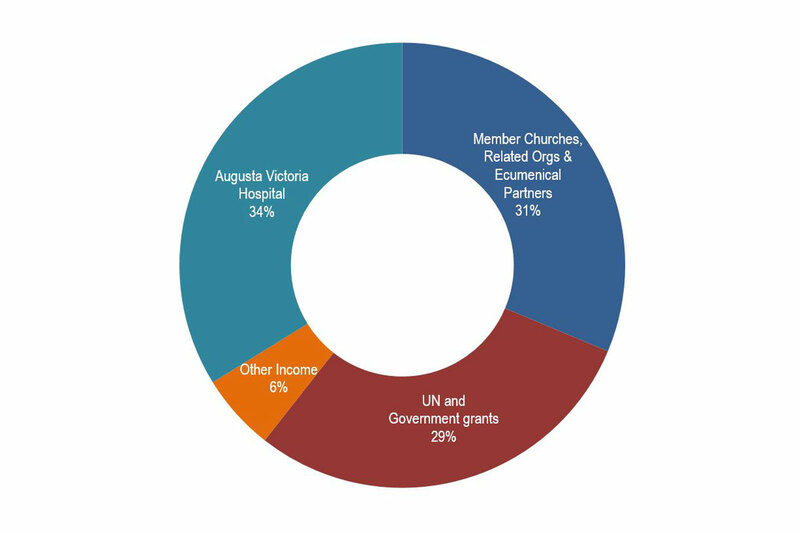 31% of the income came from the Lutheran member churches and related agencies, 29% came from the UN and government grants while 34% relates to Augusta Victoria Hospital. 6% of the income was non-project related. The total expenditure in 2017 is EUR 151m as compared to EUR 133m in 2016, representing an increase of 13% in funds spent. Half of the expenditure in 2017 went into Disaster risk reduction and emergency response. The coordination overheads in Geneva were maintained at 3% of the total turnover. EUR 4.4m spent on the coordination represents EUR 0.029 in every EUR 1 that we received from our donors. The country programs generally maintained a similar level of income in 2017 as compared to 2016. There we significant growth in our programs in Jerusalem, Uganda, Nepal and South Sudan. The Global funding unit had a successful year securing a total of EUR 11.5m (12 new grants) in 2017 surpassing the target of EUR 8m. 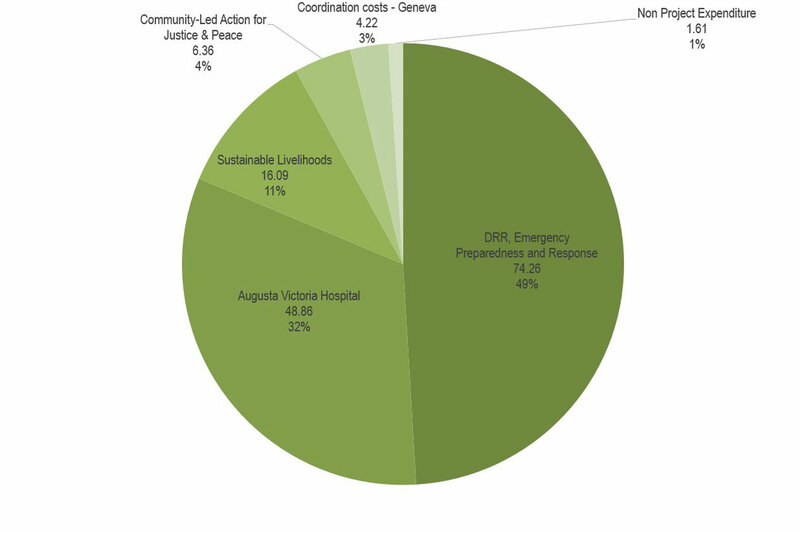 In total, the funding unit was engaged with 17 field operations (13 Country programs and 4 Emergency operations). World Service continues to invest in the funding unit through funding officers placed in the field and in Geneva. Partner with us and help us make a difference in the lives of people in need throughout the world. Our work is possible because of you, our faithful partners and contributors – thank you for your continued support!